Is there magic in the air? There’s always something special about your home round. Just ask Alvaro Bautista (Aruba.it Racing - Ducati) after claiming a Spanish hat-trick last weekend in Aragon, and Michael van der Mark (Pata Yamaha WorldSBK Team) will be hoping he can strike it rich this weekend at Assen. The home crowd favourite has reinvigorated WorldSBK in The Netherlands. His World Supersport title in 2014 catapulted him into the ranks of Dutch sporting celebrities. He’s now every inch the star that was once reserved for footballers donning the famous orange jersey, and he’s keen to put on a show once again. 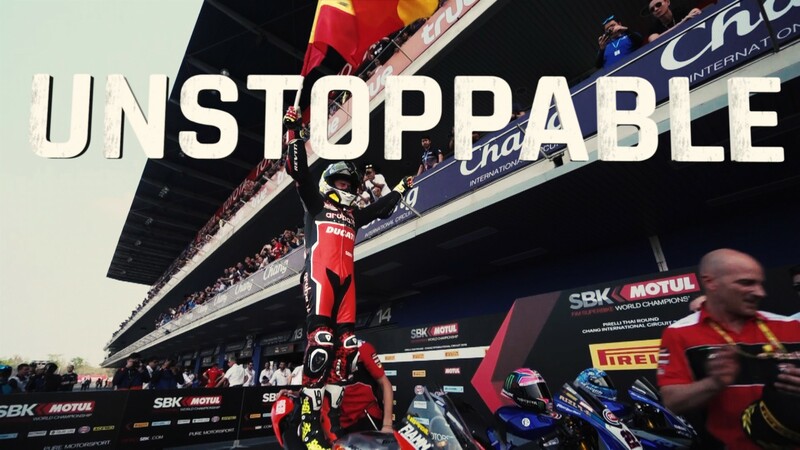 Coming home to the iconic TT Circuit Assen couldn’t come at a better time for the two-time race winner. He’s had a difficult start to the season as his teammate, Alex Lowes, has outperformed him. Van der Mark knows that now he needs to step up and show exactly what he can do. Lowes has been the lead Yamaha for the last seven races and for a competitor like van der Mark, that’s too many. His speed, talent and determination aren’t in question, but the opening races of 2019 are the opposite to last season, when it was the number 60 machine of van der Mark that was the faster Yamaha. Racing at home could be the spark that reignites his season. "You always want to beat your teammate. Alex is doing really well so we just need to work on the last details on the bike. In qualifying, if I can start closer to him it's easier for me to stay with him and be in front of him in the race. It's still early in the season but at least the difference between us is not huge. Sure, we will beat him if we can fix some little details." Assen is a special track for every rider and member of the paddock; racing history is everywhere at The Cathedral. It has the richest Grand Prix history of any track in the world, and in WorldSBK it has been the scene of some of the most famous races and off-track skirmishes. Whether you’re Frankie Chili in a dressing gown getting ready to fight Carl Fogarty in the press conference, or Chaz Davies and Jonathan Rea getting ready for a Parc Ferme dust up in 2017, there’s been plenty of drama on and off the Dutch track. Fast corners and technical sections that demand total commitment are the hallmark of the track, with the fabled GT Chicane at the end of the lap. That’s where the action will be during the races. That’s where van der Mark will be hoping to make his mark, because with Bautista having won nine races in a row the rest of the grid are fed up with scrapping for second. The chicane offers them a chance to get down the inside and force a move. A home race is a special race. A home race is a chance to made amends. A home race is a chance to kickstart your season. Will we see van der Mark enchant his home fans once again? Find out as the Motul Dutch Round gets rolling this weekend on WorldSBK VideoPass.